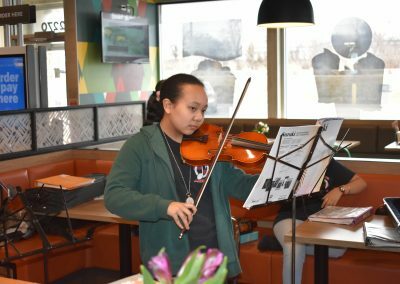 Hoffman Estates | Eisenhower Junior High School students gave their teachers an A-plus on their fundraising efforts to support local education and their community. 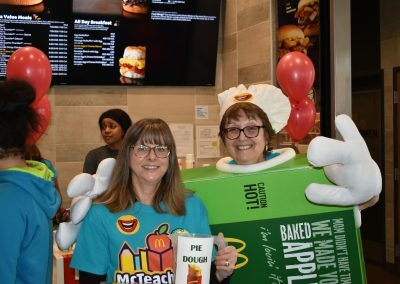 Twenty fun-loving teachers from Eisenhower Junior High School in Hoffman Estates volunteered on Wednesday, April 3rd, at the Hoffman Estates McDonald’s located on Higgins Road, where they served students and their families in a fundraiser for their school. The highlights of the night were appearances by student band and orchestra members led by teachers Mark Boekenhauer and Amanda Martin. 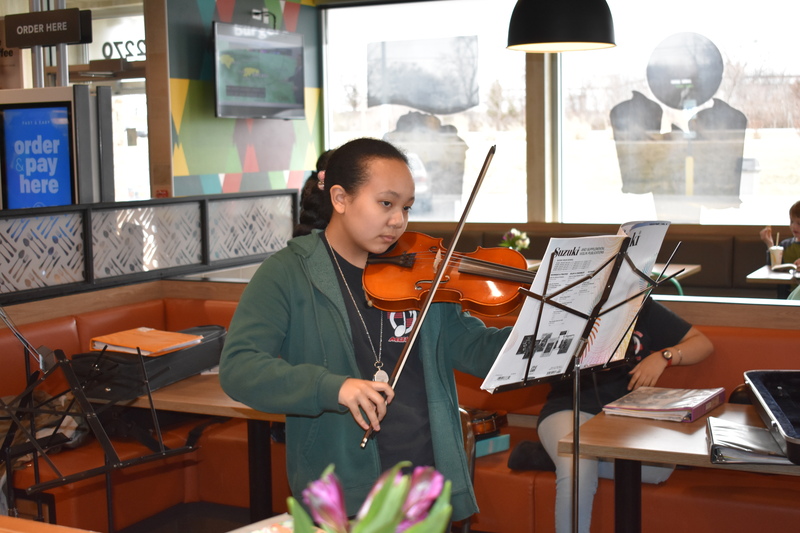 The restaurant was packed with students and parents that were amazed by the students’ performances – Eisenhower Junior High is loaded with talent! Heather Wilson, Principal, and Amy Houlihan, Assistant Principal, were at the event the entire night mingling with the families and doing various jobs at McDonald’s. 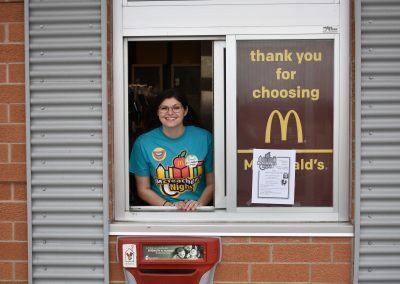 Ashleigh Lewandowski worked the drive-thru window with expert McDonald’s employee Sheriff Elaasar, collecting donations and delivering orders. The apple pie box was worn enthusiastically by Heather Wilson and Nina Gdowski, while Lisa Hehn and Amy Houlihan sold pies the entire night and did a fabulous job raising funds for the school! 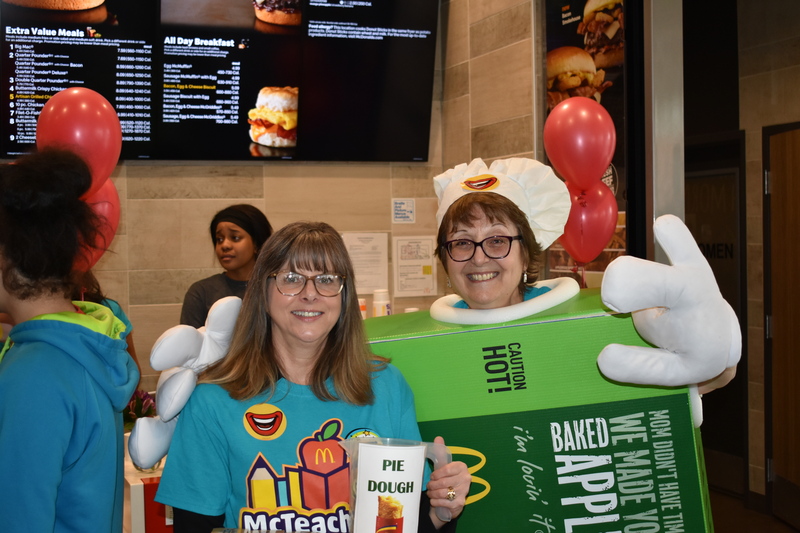 The proceeds from the sale of 200 pies, donated by McDonald’s Owner-Operator, David Bear, went directly to benefit the students. 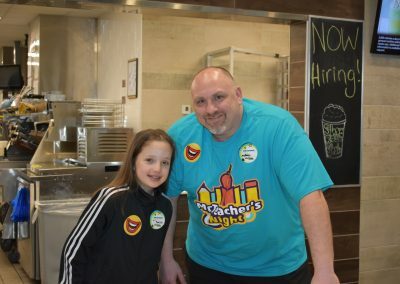 Twenty percent of the proceeds from the McTeacher’s Night sales were donated directly to Eisenhower Junior High, which plans to use that money to fund inspirational student assemblies throughout the year, focusing on happiness, social, and emotional learning. The Eisenhower Junior High community has an amazing network of support for their school, McDonald’s was busy the entire evening! 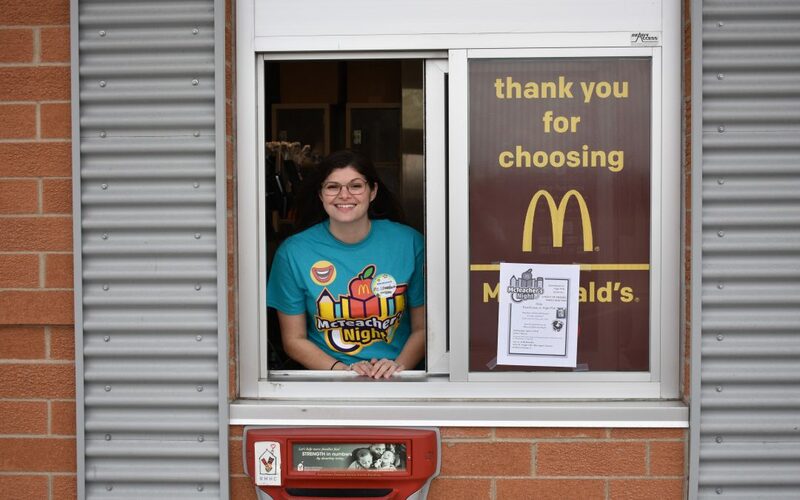 David Bear, Owner-Operator of the Hoffman Estates McDonald’s, and the Bear Family were delighted to participate in this worthy cause for education and the community. 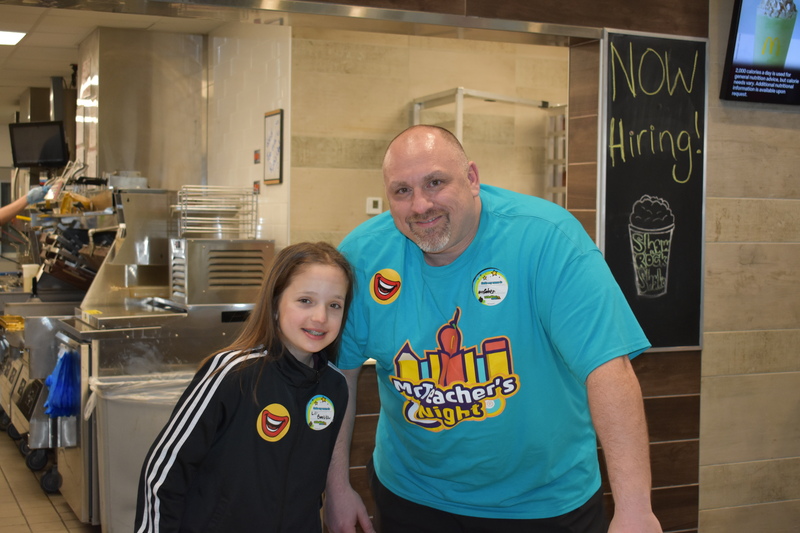 The Eisenhower Junior High School McTeacher’s Night was courtesy of the Bear Family Restaurants and McDonald’s Owner-Operator, David Bear. Like us on Facebook and visit our Bear Website.